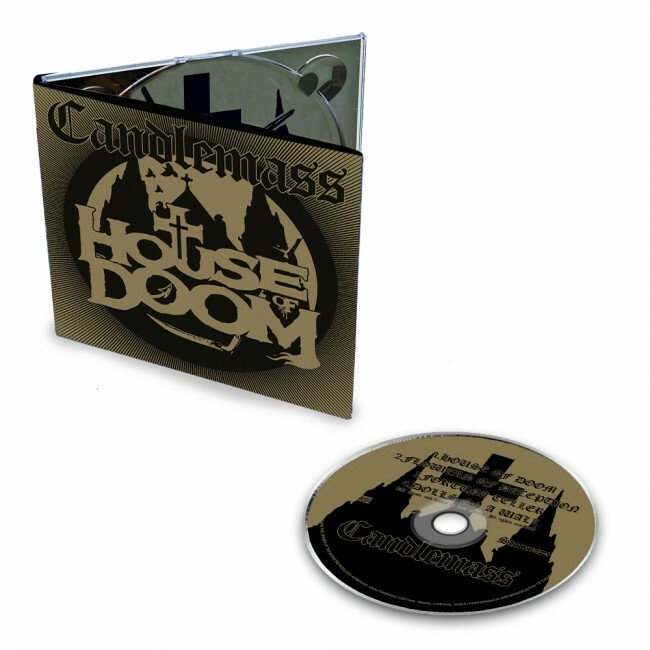 CANDLEMASS - HOUSE OF DOOM (MCD DIGI) | Online Shop | Wizard LTD. Album: "HOUSE OF DOOM (MCD DIGI)"
- 4 page digipak EP! yes, Leif Edling aka the undisputed king of minor key songwriting has returned. With him, he brings frenzied riffing, melancholy made sound and warm hammond organ tapestries that form the pillars of every Candlemass classic! The band is back on top form with this killer doom epic. The House Of Doom EP comes with 3 bonus tracks, raw and in your face: The brooding monster of a track ‘Flowers Of Deception‘ indulges in unadulterated doom heaviness, while the second half of the EP features the stripped-down ballad ‘Fortuneteller‘ and the wraps up with the almost sludgy ‘Dolls On A Wall‘.